Three candidates have put forward their names for the role of president of the National Union of Students (NUS) this year. This year, the candidates are Sahaya James, a socialist feminist campaigning to “radically overhaul” the NUS; King’s College London Students’ Union president Momin Saqib, hoping to rid the NUS of its inner political turmoil; and the incumbent Shakira Martin, running for re-election to “get real” about the movement she has led in the past year. The contest also sees old friendships become rivalries. Martin and James were allies on the left of the NUS until Martin moved towards the centre during her time as vice-president for further education, after which she was elected president. Martin endorsed James for a position on the National Executive Council (NEC) in 2015, calling her “a breath of fresh air and such an inspiration as a young woman”. James tweeted at the time that she was “honored” to have Martin’s “support & friendship”, and also endorsed Martin for vice-president for further education. Now, the two are set to face off at the elections at the annual conference between the 27th and 29th March in Glasgow. 28 other executive positions will be open for election, including five vice-presidential roles: welfare, union development, society and citizenship, higher education, and further education. This election comes amid heated conflict at the heart of the NUS. After Martin compared the criticism she faced about her stance on an anti-gentrification campaign to her experiences of domestic abuse, NUS women’s officer Hareem Ghani accused the then president of using “deeply dangerous” words, and later alleged that Shakira Martin had created an atmosphere of bullying within the NUS, calling for her suspension. Martin denied the allegations, claiming the outbreak was sparked in part by the fact that she is “a black, working-class woman” and was motivated by those seeking to tar her name in the run-up to the elections. In an emotional Facebook video, Martin admitted she nearly resigned as president after the “lies” that appeared on social media, but decided to continue and fight for re-election. According to one NUS delegate, Martin’s allies are afraid to publicly back her due to the “mob mentality” of the left wing factions in the NUS, which may trigger a “pile-on” for anyone who supports her. For many students, the NUS can seem distant and irrelevant, perhaps due to the lack of direct enfranchisement of students. Instead of allowing students to vote directly, votes in the NUS election are made by delegates, who in turn are elected by their universities and colleges. Cambridge’s delegates to the annual NUS conference were elected in November last year. In March, Connor MacDonald, Miriam Gauntlett, Angus Satow, Carine Valarché and CUSU Women’s Officer Lola Olufemi will join CUSU president Daisy Eyre in representing the University of Cambridge at the NUS National Conference. Meanwhile, last year’s CUSU president, Amatey Doku, is standing for re-election as vice-president for higher education against challenger Ana Oppenheim, an LSE student and NUS National Executive Council member who is involved with the National Campaign Against Fees and Cuts, the far-left faction of the organisation. 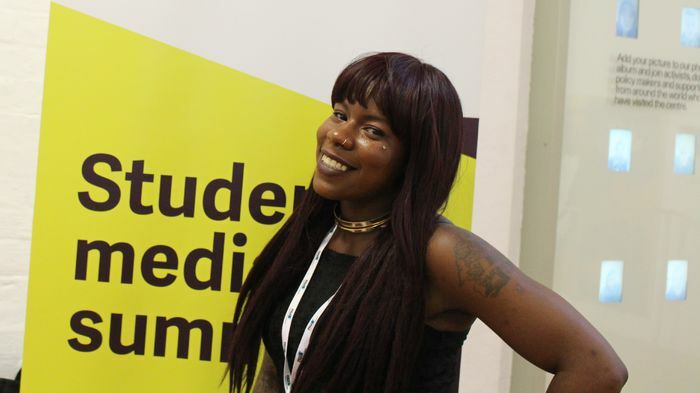 Elected as NUS president last April following widespread discontent with the NUS under the leadership of Malia Bouattia, Shakira Martin pledged to bring about “unity” and to break down “class barriers”. Martin, an ally of Amatey Doku, is a single mother and has previously been open about her struggles with sexual harassment and racial abuse in the workplace. Unusually for an NUS executive, she left full time education at just sixteen, giving birth to two children. She later found success in further education, graduating with a diploma from Lewisham and Southwark College, and subsequently becoming president of her college’s students’ union. One of her key commitments has been improving access to education for those from working-class backgrounds, crediting education as the means through which she herself was able to break out of “a cycle of poverty and despair”. While she started out on the left of the NUS, formerly an ally of now-rival Sahaya James, Martin is seen as the more moderate option, backed by many in the two factions on the right of the NUS – the National Organisation of Labour Students (NOLS) and Organised Independents (OIs). Since taking office in July last year, she has tried to move the organisation away from its focus on public protesting and activism, and towards lobbying for incremental changes in government policy and concentrating on students’ unions at colleges and universities. This year her manifesto pledges to call for improvements in legislation to combat student poverty, and promises to put the student movement on “non-stop election watch,” proudly declaring the success of last year’s #GenerationVote campaign and the large number of young people who registered to vote in the general election, “breaking all records for student power”. Describing herself as “the left’s candidate for NUS President,” Sahaya James is running for election on a socialist platform and commitment to free education. James is currently the campaigns officer at Arts SU, the students’ union of the University of the Arts London (UAL), and was a member of the National Executive Council (NEC) of the NUS between 2015 and 2017. Recently, Sahaya James helped to organise an occupation of UAL’s London College of Communication (LCC) building, demanding that the university put a stop to their “disastrous development plans” in Elephant and Castle, which she believes are a form of gentrification. She is currently being investigated by her university after she let activists into a building using a fire door, but claims it was because she “protested UAL’s complicity in gentrification”. She was also a main organiser of the National Demonstration for Free Education, which took place on the 15th of November last year and saw thousands of students march through London calling for the abolition of tuition fees. She is backing Ana Oppenheim against Amatey Doku for vice-president for higher education. Momin Saqib’s manifesto focuses on restoring unity and accessibility to the NUS. In his manifesto he points to the number of institutional disaffiliations from the NUS as evidence for “how disenfranchised the NUS has become” and pledges, if elected, to “bring back a sense of belonging within the NUS, where all members view the NUS as a strong central voice for students”. A Pakistani national, Momin Saqib is the first non-European international student to be elected as the president of King’s College London Students’ Union (KCLSU) in 144 years. Within his university, Saqib has fought for the rights of international students and of disabled students, successfully campaigning to provide 345 rooms for international students in the King’s Affordable Accommodation Scheme. He has also led an accessible toilet campaign aiming to “raise awareness” of chronic and invisible conditions, and to provide suitable facilities for all. He has also been involved with protests in support of free education and against Trump’s “unjust policies”, particularly regarding the American president’s travel ban on Arab countries. As with all student politics, the NUS elections are volatile and hard to predict. Last year’s contest, in which Shakira Martin defeated the then-incumbent president Malia Bouattia, was riven by accusations of anti-semitism in the organisation. Tom Harwood, an NUS delegate from Durham University, ran a parody campaign aiming to draw attention to the appearance of the organisation as overly-partisan and out of touch. This year’s contest will likely be a struggle between Martin and James, with Saqib a relatively unknown figure in the NUS and having never held senior NUS office. If Martin can push back successfully against the allegations against her, she has a good chance of being re-elected by delegates, many of whom remember the mockery from the national media the organisation faced under far-left former president Malia Bouattia. Sahaya James’ campaign is trying to move the NUS leftwards, pushing for a return to more public protests and national campaign issues like gentrification. Whether this will attract some who backed Martin last year is yet to be seen. The composition of the delegates is also likely to be a major factor – universities and colleges often elect new delegates annually from among their student bodies, so it is difficult to predict the political orientation of those who will be voting. Last year, there were 721 votes cast by delegates for the role of president.